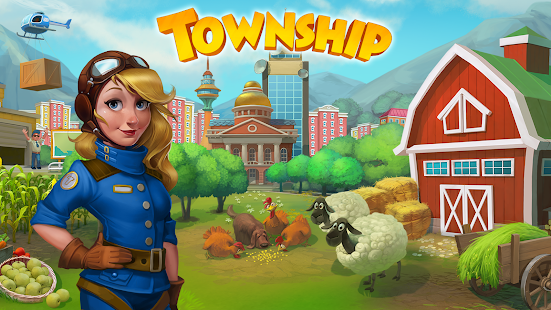 Township is a game that was created by Playrix, the same people who created Gardenscapes, Homescapes and Fishdom. Township is incredibly addicting. If you like games like Farmville you’ll love Township. I’m an avid player myself and can be found playing everyday. I’ve come across several people who have asked me how to complete as many tasks as I do and how do I do it in so little time. I’ve finally decided to tell my Township secrets! Bring # island goods from an island. As someone with only 2 ships and who doesn’t like to waste coins on making sure I get a certain kind of fruit, I generally don’t choose to do this task. Every move I make is calculated. I make sure I can complete a task before choosing it so when I do go to choose a task I already knew exactly what I was choosing and I already started working on the task. For bringing fruits back from the island I make sure I already have my ships at the dock or they’ll be back soon. This gives me more time with the task, giving me a better chance to complete it. Collect # of animal produce. This is a simple task. If you choose this, collect milk. The feed for the milk costs the least amount of coins and take the least amount of time to make. Also, the milk itself is quicker to make than the rest of the animal produce. Excavate # units of ore in the mine. One of my favourite tasks to choose. I save all of my mining materials that I get for trains. There’s no reason for me(you) to use them if I’m not doing this task. Save a MINIMUM of 45 picks, 20 dynamites and 10 TNT. Usually if you have 45 picks you have the rest. Use the picks until you come to a clear line with no gaps. Now use the dynamite. Keep doing this. Only use the TNT when you come to cement that you have to break in order to get through or get to an item(ore, jewel, artifact, etc.). This saves you a couple of picks per cement block. This one is one of the easiest tasks to complete. You can work on producing the feed while you’re doing another task. Keep filling your feed factory until all spots are full, including the boxes used for the queue. That’s 27 animals per feed mill being fed as soon as you start the task. By the time you’re done with your current task and move onto this task, you can just start feeding all of your animals and continue to make more feed. This is one of my favourite ones to do. Not because it’s easy but because it’s challenging. I like to make sure all of the spots in my factories are filled. The trays on top are full of products and the boxes are full, too. This kills time. Once you don’t have something you can request it in your co-op or at the marketplace. Your factories should always be producing goods though. As soon as you have all the ingredients necessary to make something, make it! Pay attention to the goods needed to fulfill your helicopter orders and planes. If you have all of those goods then you can make whatever you want. Just keep your factory going! I don’t do this task because the number of goods needed is always so ridiculous. But if I had to I would plant wheat in every available plot. It’s really quick to grow and it’s free! Play # times at the House of Luck. This is my favourite task to do. I complete it within a minute and move onto the next task. I collect all of my clovers. I don’t use any of them until the regatta is back and I choose to do this task. The rest of the time I’m collecting them by sharing goods with co-op members and filling crates for other players. Produce and collect # units of factory products. Have them, or the majority of them, already made. Don’t touch them till you’ve chosen this task. Common items are sweaters, wool, corn, wheat, coats, shirts and pine trees. I like to choose sweaters because it’s usually 6-8 sweaters needed for a 135 task. I either make the yarn in advance or request it in my co-op. Then I just keep producing them in my factory until all the spots are full. I only have 6 trays for that factory so I pick up the 6 and I’m left waiting only a couple hours waiting for 2 more, then the task is done. Sell # hot products at the Zoo. The hot products change at midnight every night. Choose this task in the day time. This way you can make a bunch of the hot products and not have to worry about it changing. Send # fully loaded airplanes. Have a fully loaded plane ready to go but don’t send it off. Choose this task then send off the plane. You’ll get your first plane out of the way and you’ll have more time to produce the needed goods. Same goes for the trains. Have your trains ready to go before choosing this task, choose it, then send off the trains. This will knock the first couple of trains out of the way and give you time to make goods. Just prepare for your tasks beforehand and you’ll be fine.